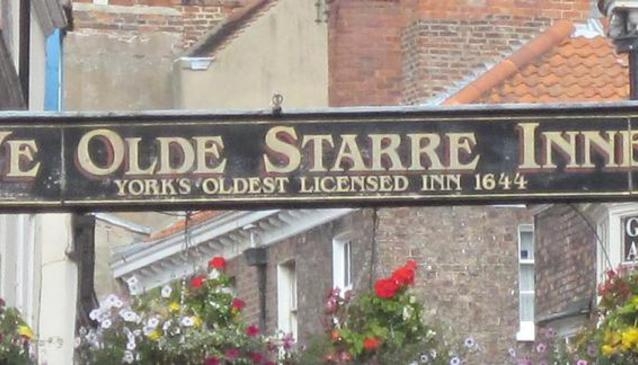 You can sense the heritage and history from the very first sight of Ye Olde Starre Inne, the oldest public house in York. Dating back to 1644, this pub effervesces with character and undeniable history which attracts many a tourists who have come to York for its rich heritage and tradition. Ye Olde Starre Inne doesn't simply live off its title 'Yorks Oldest Licensed Inn' as it serves traditional pub food which is loved by locals and tourists alike, the Sunday lunch being somewhat of the talking point of the menu. The traditional style pub with its 4 separate rooms is the perfect setting for a friendly natter to break up a day of sight-seeing in the beautiful city.